Eighty-five-year-old Ruth Bader Ginsburg fell this week, breaking three ribs. Because she is a Supreme Court justice, her fall made the news, but this a senior citizen falling is far from unusual. According to the US Centers for Disease Control and Prevention (CDC), approximately one-quarter of seniors fall each year, and this number is considered artificially low since many falls go unreported. As the nation awaits Justice Ginsburg’s recovery, it is worth using this as a teachable moment about the prevalence — and the dangers — of falls in senior citizens. Falls are the leading cause of death by injury in senior citizens. Falls are the most common way an older person loses their ability to live independently. Every eleven seconds, a senior citizen arrives in the emergency room after a fall. Every nineteen minutes, a senior citizen dies from complications of a fall. Two-thirds of older people who fall will fall again within six months. One-quarter of senior citizens who fracture their hip due to a fall will die within six months. 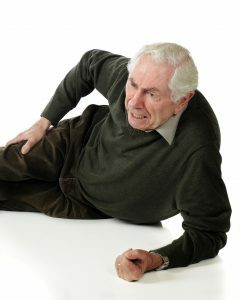 Even if a senior does not injure themselves in a fall, nearly half will be unable to get up without assistance. Prevention is the best cure, of course, but if a senior citizen does fall, getting occupational therapy will improve their chances of surviving — and even returning to independent living — by 80%. At Laurel Bay Health and Rehabilitation Center, in the scenic beach town of Keansburg, NJ, we designed a short-term rehabilitation program whose goal is to get our patients back to an optimal level of functioning and independence as quickly as possible. We provide a tailored program of physical, occupational and speech therapy, as well as all types of specialized care under one roof. Or better yet, come see for yourself contact us to schedule a tour by calling (372) 787-8100, or by clicking here.